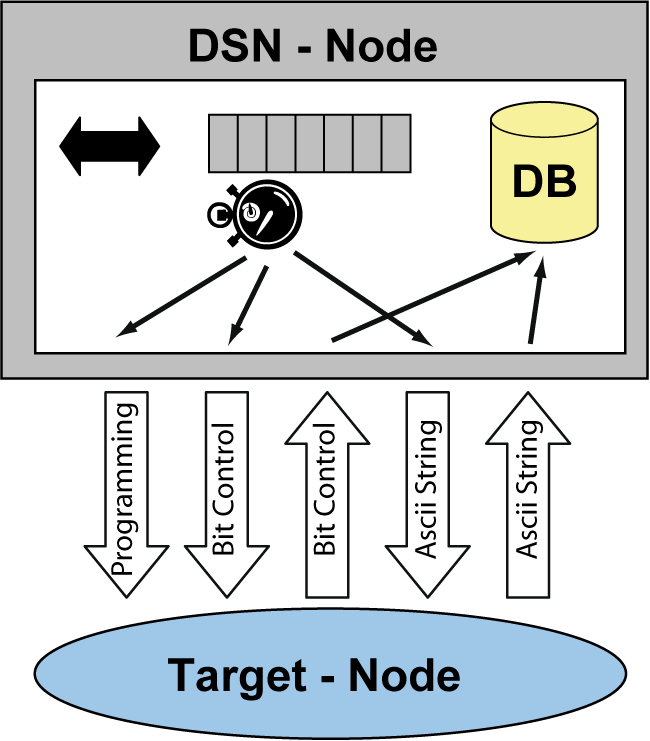 The JAWS Deployment-Support Network consists of network nodes (DSN nodes), a host access (GUI node) and a host application running a management server and vizualisation and control applications (server, gui_applet). 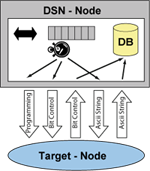 The JAWS target interface consists of a hardware component (description of the necessary wiring and electrical specification) and a software interface. Currently support for AVR and MSP430 based targets is available. Application traffic, i.e. firmware updates and log data has priority over management data. 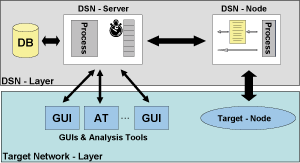 All actions can be scheduled in a queue at the DSN node, all logging is timestamped. All information is run through a DSN server with database that takes care of fetching data from the DSN. which can be overriden in the build system, e.g. by CM_COD=500 make version_targets.